STORRS - UConn and IMG announced a 15-year contract extension for licensing and multimedia rights to broadcast and promote Huskies athletics. Under the agreement, IMG will pay UConn a minimum of $96 million in royalties, including $6 million this academic year. In exchange, IMG get the rights to broadcast UConn games on its radio network, expand digital content on social media, continue to produce coach's shows for football, basketball and men's ice hockey as well as women's basketball coach Geno Auriemma's podcast. IMG also will continue to manage the school's trademark licensing. The deal, which runs through the 2032-33 school year could end up being more lucrative. 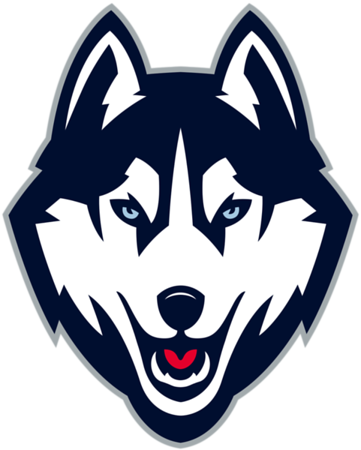 It gives UConn 100 percent of net revenue generated from such things as radio commercials, in the first three years of the contract. The percentage then decreases incrementally to 80 percent by the end of the contract. It also includes a $2 million signing bonus for the school. “This agreement provides a unique revenue sharing model, which will positively impact our bottom line and help support our pursuit of graduation and championships,” said David Benedict, the school's athletic director. UConn's previous 10-year deal with IMG, which expired this year, guaranteed the school $80 million. The extension comes as UConn, which has an annual athletic budget in excess of $80 million, looks for new revenue streams. The school, with most of its athletic programs in the American Athletic Conference, struggles to compete fiscally with similar programs in the higher revenue-generating Power Five conference - the Big Ten, Big 12, Atlantic Coast Conference, Southeastern Conference and Pac-12. The social media part of the deal will include an embedded correspondent within UConn athletics, with a plan to provide behind-the-scenes glimpses of the athletic programs that will include “sponsor integration,” which IMG says will allow brands to creatively connect with fans. Posted in Newington Town Crier, UConn on Wednesday, 17 October 2018 22:05. Updated: Wednesday, 17 October 2018 22:08.